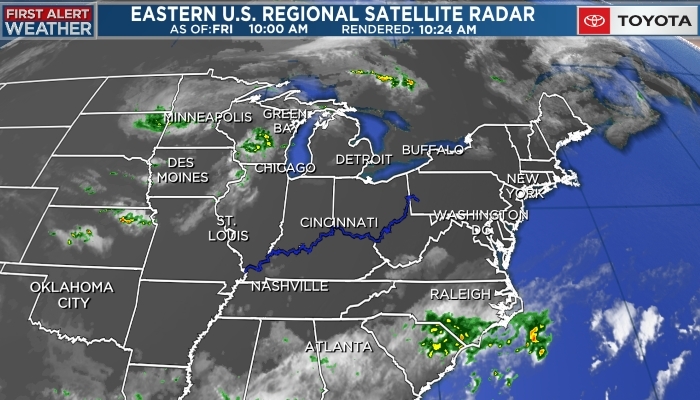 CINCINNATI, OH (FOX19) - It is going to be a pleasant day with daytime highs reaching the mid 70s! Warmer than average conditions are going to stick around through Thursday. In fact, Thursday afternoon, daytime highs will soar into the upper 70s. Catherine is a Midwest girl from the Upper Peninsula of Michigan. Growing up in a small town on Lake Superior, she graduated high school with just 6 classmates and had to drive two hours to find the nearest traffic signal. Her interest in weather sprouts from the summer storms and snowy winters of her childhood.